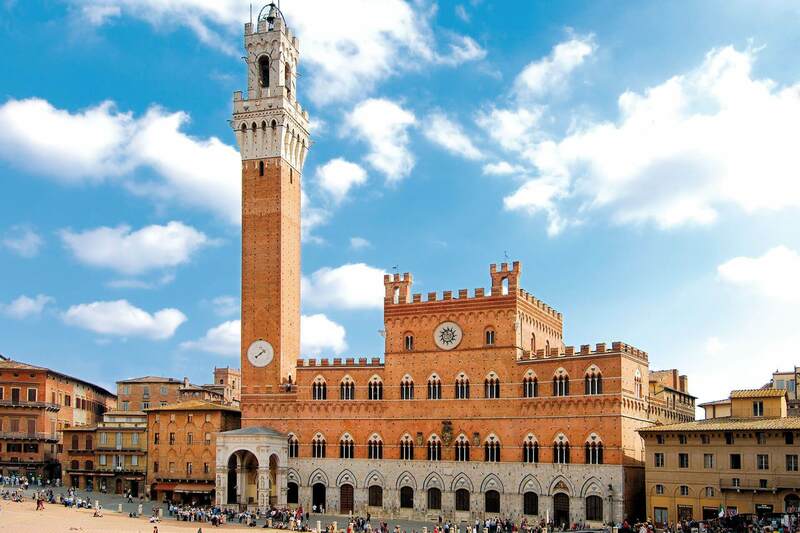 Authentic medieval gem, Siena can be defined as an outdoor museum. Among the must see areas Piazza del Campo is definitely worth visiting with its characteristic shell shape, along with the majestic Palazzo Pubblico, the Duomo and the Torre del Mangia tower where breathtaking views can be enjoyed from its highest point. An engaging and exciting event that, between the sacred and the profane, is held every year on July 2nd and August 16th, the Palio di Siena is a passionate horse race that takes place in the unparalleled setting of Piazza del Campo whereby the different city districts compete against each other. 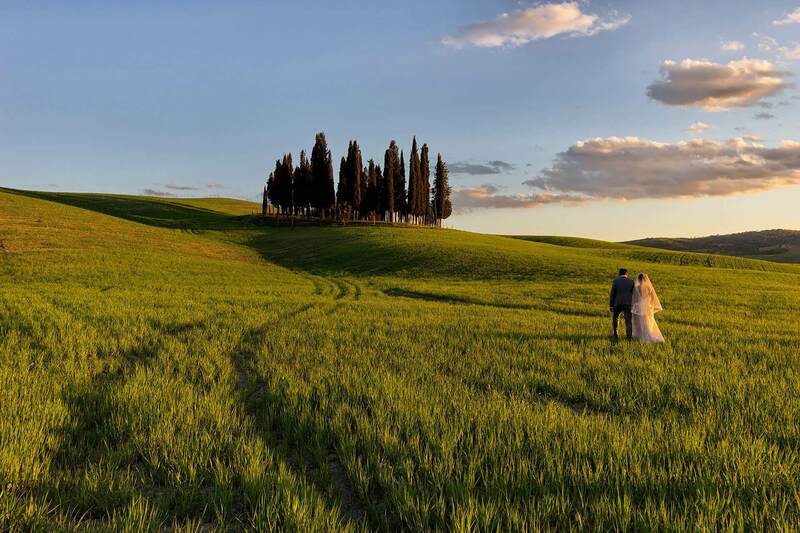 In a succession of unique landscapes made of vineyards and olive groves, gentle hills and Renaissance villas, the Sienese and Florentine Chianti area is full of medieval buildings and age-old parish churches that proudly stand out on the skylines of small fascinating villages. Areas that are keepers of secular traditions, the Chianti area and Montalcino in Val D’Orcia also give you the opportunity of satisfying your taste buds with great, unforgettable cuisine. You can reach Country Lodge B&B by car by driving on the SS 674 up until the Siena Acquacalda exit: at the first rotary turn right towards Petriccio and then turn left, continuing towards the gas pump. Here turn left. The B&B is only one hundred meters away! Those arriving by train can reach the facility with a cab or by taking bus number 9. 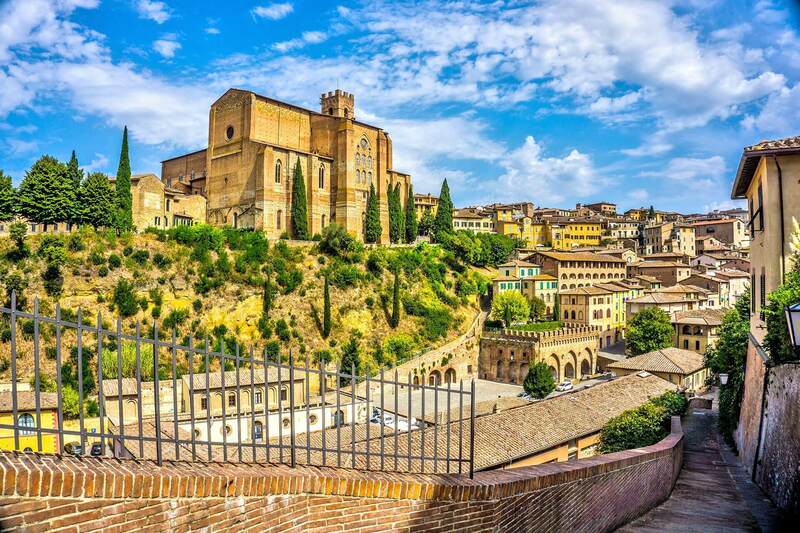 From the airport in Florence, you can reach the Santa Maria Novella train station with the shuttle bus and take the Sita bus that goes directly to Siena. Get off at the via Fiorentina stop, only one hundred meters away from the Country Lodge. For those arriving in Siena by car, the historic center is a restricted traffic area and only authorized vehicles can circulate. You can park the car at the Il Duomo private parking area for a daily fee of Euro 35 or you can leave it at the Country Lodge B&B parking, free of charge. The facility offers a one-way private shuttle service, stopping only one hundred meters away from Casa Percennesi. You can reach Casa Percennesi from the train station by taking a cab or with bus number 3: the bus station is located outside the railway line below the shopping center. Once you get off at the Piazza Gramsci stop, the facility is only two hundred meters away. For those arriving in Florence by plane, it is advisable to reach Santa Maria Novella with the airport shuttle, and then take the Sita bus that goes directly to Siena, stopping at the station. From here bus number 3 that stops at Piazza Gramsci will take you right to your destination.